A Former Manufactory, Now Converted into a Working Museum. Exhibits display the history and methods of pottery manufacture in Stoke-on-Trent, and working potters demonstrate the traditional crafts involved in this process. 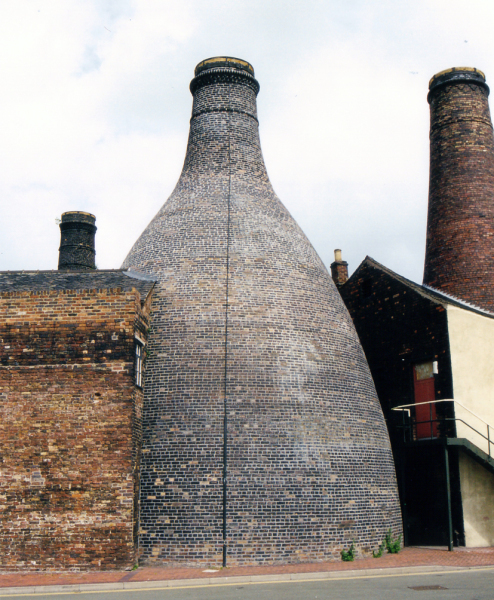 A bottle kiln comprises an external bottle shaped shell of brickwork known as a “hovel”, and an inner firing kiln know as an “oven”. 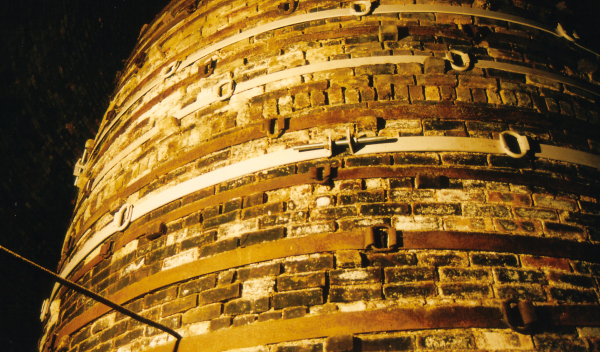 The brickwork of the oven is bound with iron or steel bands consisting of short straps know as “bonts”. Pots to be fired are stacked inside the oven in “saggars”. Conservation of bottle kiln no 4 involved the repair of the brickwork of the hovel and the replacement of broken bonts to the inner oven. Decayed bricks were cut out and replaced with a matching black, imperial sized brick. The outer and inner surfaces were repointed with lime mortar, coloured with soot to match the existing black mortar. 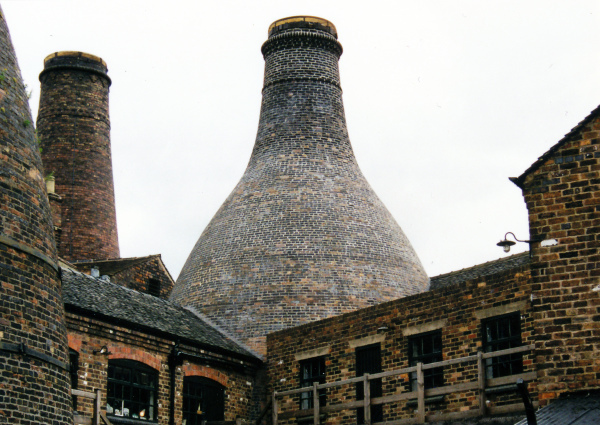 39 new bonts were forged by the blacksmith at Etruria Museum, and fitted to stabilise the oven in three new complete bands.